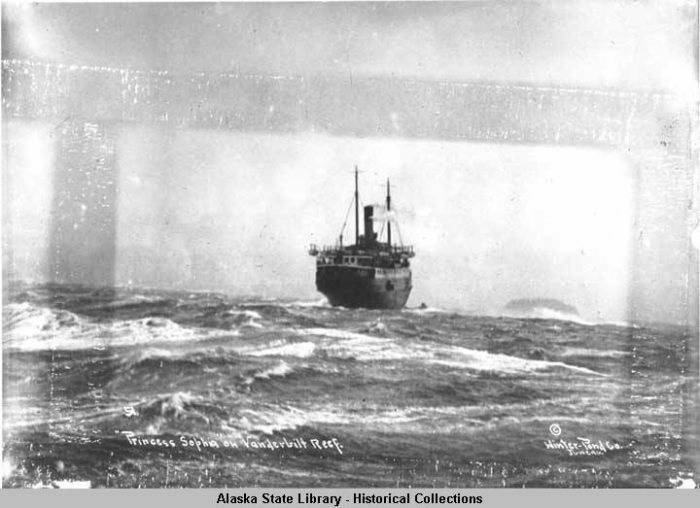 Alaska had its own version of the Titanic tragedy when an elegant ship sank suddenly, taking many lives. 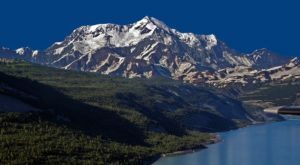 On October 25, 1918, the Princess Sophia set out to travel south down Alaska’s Inside Passage from Skagway to Vancouver, B.C. 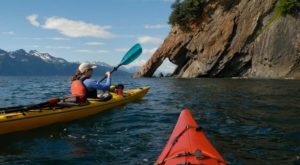 Instead, the final destination was the icy waters outside Juneau on Vanderbilt Reef where the ship catastrophically sunk. 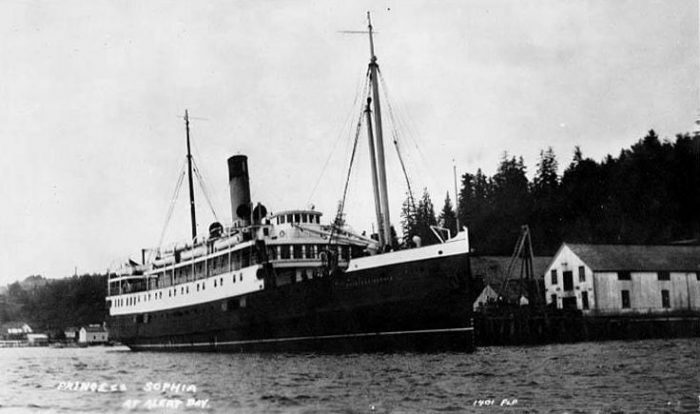 The wreck of the Princess Sophia was the worst maritime accident in the history of British Columbia and Alaska. 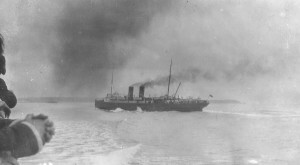 The Princess Sophia was a steel-built passenger liner in the coastal service fleet of the Canadian Pacific Railway (CPR). 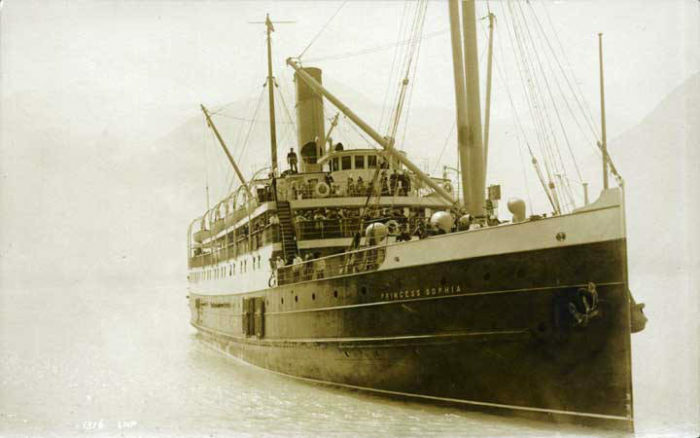 This type of ship was only licensed to carry passengers within 50 miles of the coastline. The luxurious ship was fully equipped with electrical lighting, an elegant smoking lounge panelled in maple (shown here), a social hall with a piano, and an observation deck for watching the stunning Alaskan coastline. The ship was made of steel and double hulled, seemingly hearty enough to withstand the violent storms of the Pacific. 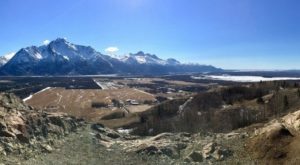 They set sail from Skagway and headed south. 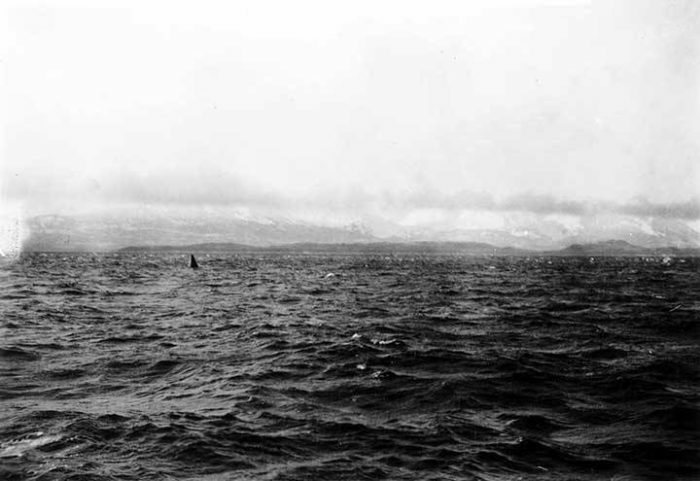 They hit a storm with heavy blowing snow and the ship drifted about a mile off course. 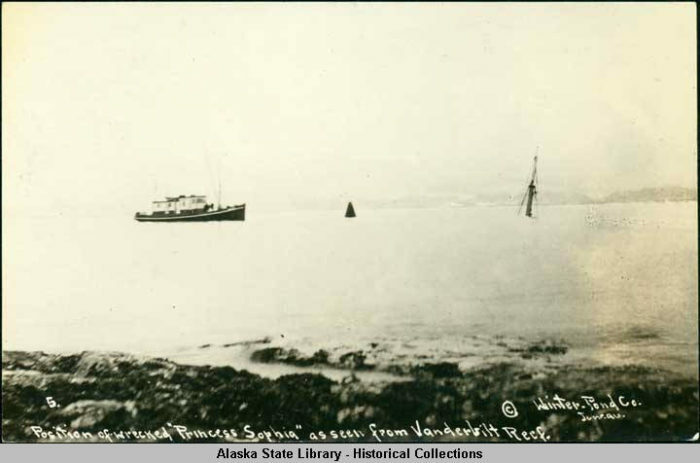 At 2 AM on 24 October 1918, the Princess Sophia struck Vanderbilt Reef, ripping a hole in the bow and stranding the ship 54 miles south of Skagway. The ship stayed trapped on the reef in the storm without rescue boats being able to reach it. After many agonizing hours, the tide came in. 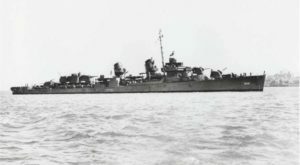 The tip of the mast is all that's visible after the wreck. It is thought that the ship slid the ship across the reef, ripping the bottom off before washing it into deeper waters to sink. As the ship sank, the boiler exploded killing many and flooding the sea with oil fuel, choking anyone swimming for their lives. Seas over the sunken Princess Sophia. On the morning of October 26, the rescue crews arrived and worked tirelessly, looking for survivors. 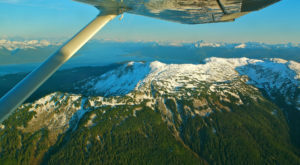 None of the estimated 353 passengers were found alive. The only survivor was a small dog that was able to swim to a nearby island and was recovered a few days later. 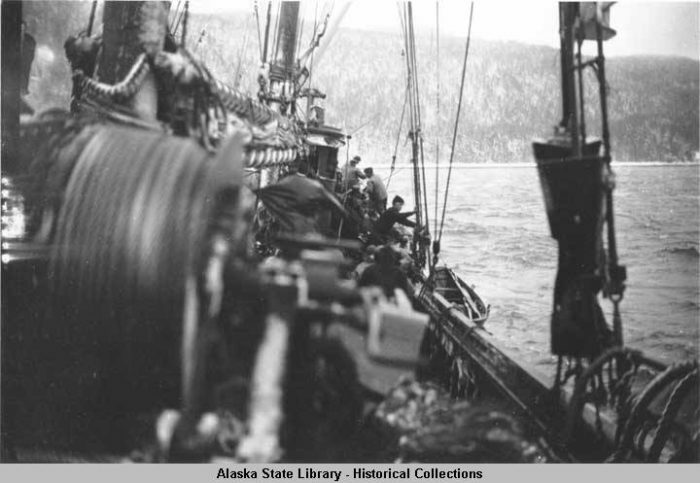 All the bodies of the passengers that could be found were rescued from the icy waters and taken to Juneau. 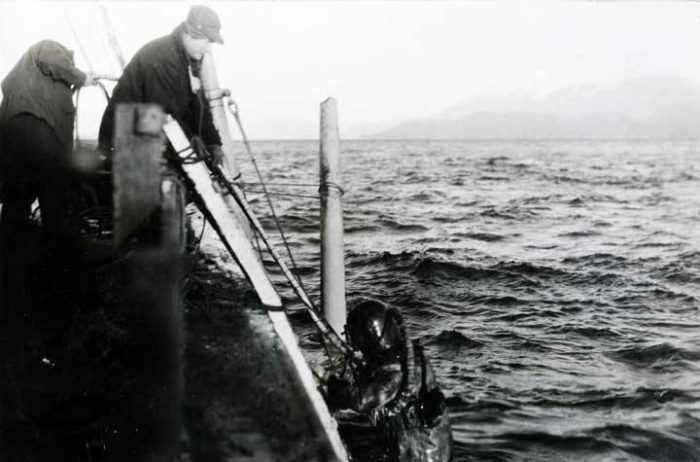 Diver at site of the Princess Sophia wreck. 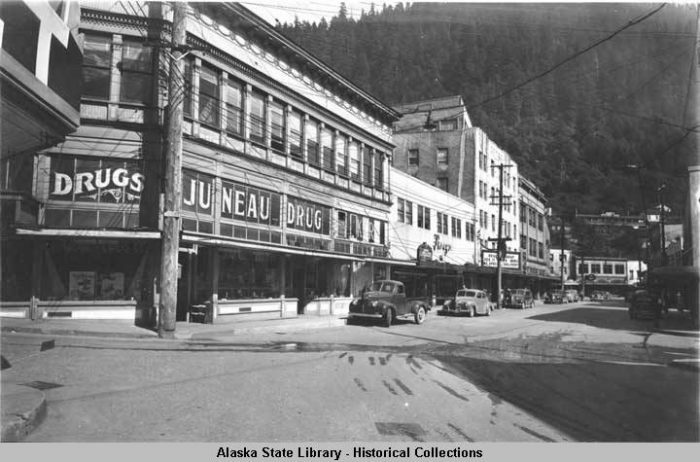 The bodies were stored in the basement of Juneau Drug to await burial or transport to Canada. The town had never before dealt with a tragedy of this magnitude. It is said the basement where the bodies lay is haunted by the souls lost in the wreck. 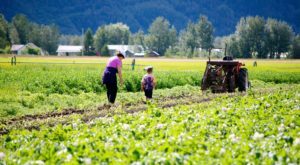 The Orpheus Project, a local Juneau opera group, announced that the group has a new opera in development about the Princess Sophia that is scheduled to premiere in October 2018. 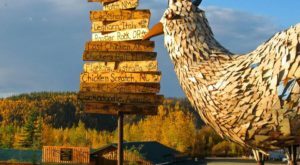 If you like this article, you may enjoy Spend The Night At Alaska’s Most Haunted Campground For A Truly Terrifying Experience or this one, The Historic Island Town In Alaska With A Sinister And Terrifying History. Do you know anything else about this wreck? Tell us about it in the comments below.